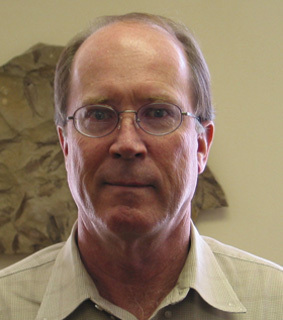 Longtime gold specimen collector and retired geology professor, Robert B Cook was born in Georgia in 1944. He attended Colorado School of Mines where he obtained his degree in Mining Engineering in 1966. Interestingly, enrolled concurrently were mineral personalities Bill Larson and Neil Prenn. He continued his education at the University of Georgia where he was the first person to receive a Ph.D. in Geology in the university’s 200 year history. After graduation he worked in mineral exploration for several years, ultimately ending up at Auburn University where he taught for 35 years, during 22 of which he was Head of its Department of Geology. Over his career he conducted exploration programs as a consultant in a variety of foreign countries and essentially all western states. He has also acted as consultant for the U.S. Department of Defense, NASA, the United Nations, and the United States Department of Justice. He retired from Auburn in 2007 at which time the university established an endowed chair in his name. His publication record includes over 200 papers and articles as well as two state mineralogies (Georgia and Alabama), a U.S. Geological Survey Professional Paper, and a variety of state geological survey bulletins. He has been an executive editor of Rocks and Minerals for over 25 years, during which time he authored over 110 Connoisseurs’ Choice columns. He has edited and written papers for a number of Extra Lapis-LithiographieLTD issues including the Gold volume and the most recent monograph on Nevada. Bob continues to prospect gold specimens in both Nevada and Colorado, works with the Tellus Science Museum where much of his gold collection is on loan, and is striving to develop a geological field camp near Leadville, Colorado.